English financier; born 1782; died in London 1860. 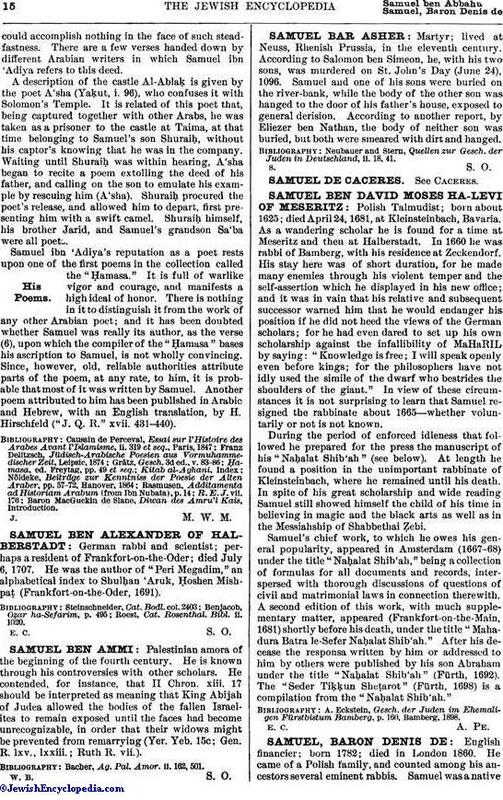 He came of a Polish family, and counted among his ancestors several eminent rabbis. 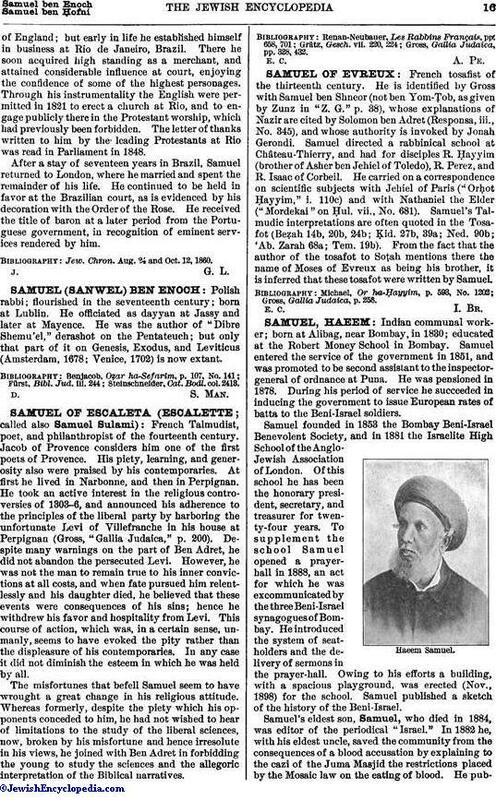 Samuel was a nativeof England; but early in life he established himself in business at Rio de Janeiro, Brazil. There he soon acquired high standing as a merchant, and attained considerable influence at court, enjoying the confidence of some of the highest personages. Through his instrumentality the English were permitted in 1821 to erect a church at Rio, and to engage publicly there in the Protestant worship, which had previously been forbidden. The letter of thanks written to him by the leading Protestants at Rio was read in Parliament in 1848. After a stay of seventeen years in Brazil, Samuel returned to London, where he married and spent the remainder of his life. He continued to be held in favor at the Brazilian court, as is evidenced by his decoration with the Order of the Rose. He received the title of baron at a later period from the Portuguese government, in recognition of eminent services rendered by him. Jew. Chron. Aug. 24 and Oct. 12, 1860.